For four years people have known me as the Hyper-V guy, and of course my interest in Microsoft virtualization dates back to 2004. However I am also known as a Windows client guy – my MVP Award category is Windows Expert (IT Pro). So what could be better than combining the two? Microsoft has given me the high-tech equivalent to Reese’s Peanut Butter Cups! You need to open the Windows Features screen. There are two ways to do that. The first is from the Control Panel, click on Programs and then Turn Windows features on or off. For those of us who like to use the direct commands you can click Windows Key-R to open the Run box, and then type appwiz.cpl. This will open the Programs and Features window. 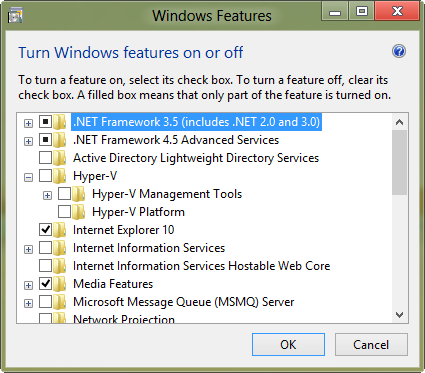 the option to Turn Windows features on or off is in the navigation pane. Once you select the Hyper-V Platform Windows will check to make sure your system supports it – of course, it is a 64-bit only option, and virtualization has to be enabled in the BIOS – and then installs the role. It only takes a few seconds, and then you will get the screen asking you to reboot. 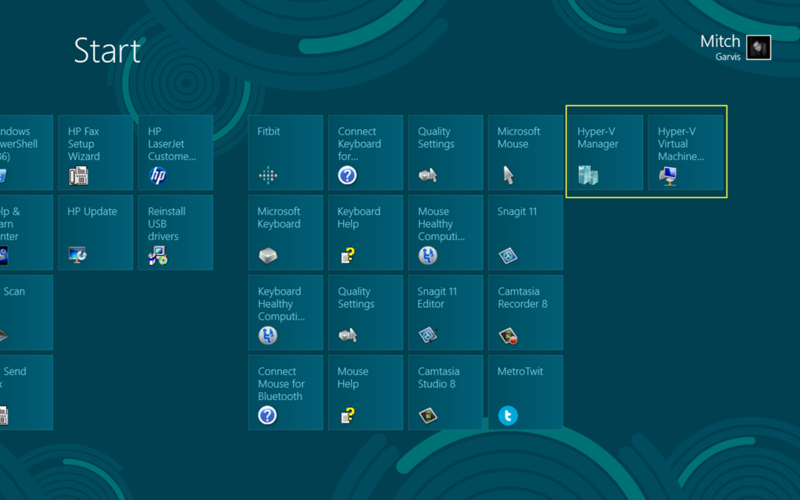 As you see, the Hyper-V Manager and the Hyper-V Virtual Machine Connection tool are there and ready to go. You can start creating and booting up VMs, as well as connecting to VMs both locally and remotely. Remember, if you are going to manage or connect to remote systems, you will have a much better experience with domain-joined clients. The security is still managed by certificates. Now that we’ve got Hyper-V in the client, what are you waiting for people? Virtualize! Also worth noting that Hyper-V in Windows 8 require a SLAT compatible processor. Is this with windows 8 Pro or standard windows 8? How can we start with virtualization in a windows 8 standard os? Thanks I thought so. Really frustrated that I couldn’t find any Windows 8 Pro installed laptops in stores in the UK. Will have to upgrade a win 8 standard I guess. An impressive share! I’ve just forwarded this onto a coworker who has been doing a little homework on this. And he actually ordered me lunch due to the fact that I found it for him… lol. So let me reword this…. Thanks for the meal!! But yeah, thanks for spending some time to talk about this topic here on your site. It is a WordPress template.